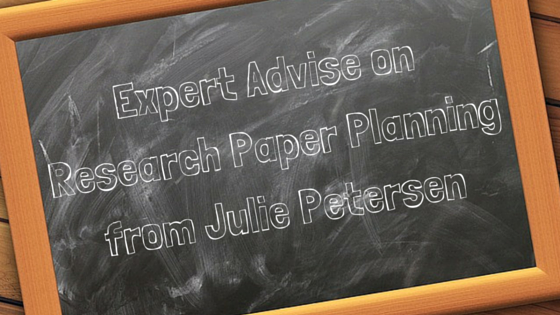 EssayMama expert Julie Petersen agreed to provide our readers with the professional advise on how to write a research paper, plan a writing process and stay calm. Use these tips to succeed in academic writing! “This is the most important tip, and yet it seems like the most passive and pointless. The very same day you are given your college research paper assignment, you need to start it. You can make a chunky start on it in the library, or you can go home and make a start – but you must start! If you don't do it then you are going to put it off and leave yourself at a massive disadvantage”, - claims Julie. And we believe it's totally true. The psychology of having a big project waiting and having started your big project is very different, and you are guaranteed to put it off if you do not make a start the same day. The crazy thing is that when you do put it off you are just shortening your deadline. You are shortening the amount of time you get to spend in your college research paper, and that is something you should be panicking about. Thanks, Julie! We hope that the listed above tips were helpful for you. Share your thoughts in comments. The Principles of Research Proposal Writing: How to Handle this Stressful Project"